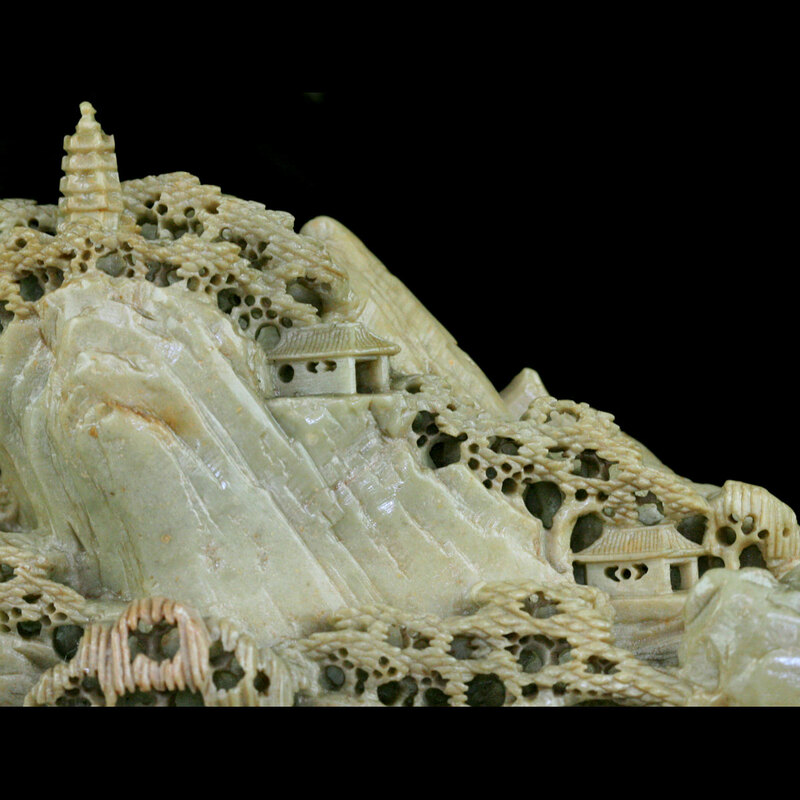 ﻿ East Asia & South-east Asia : A Chinese soapstone carving depicting a village nestled on a rocky mountain. 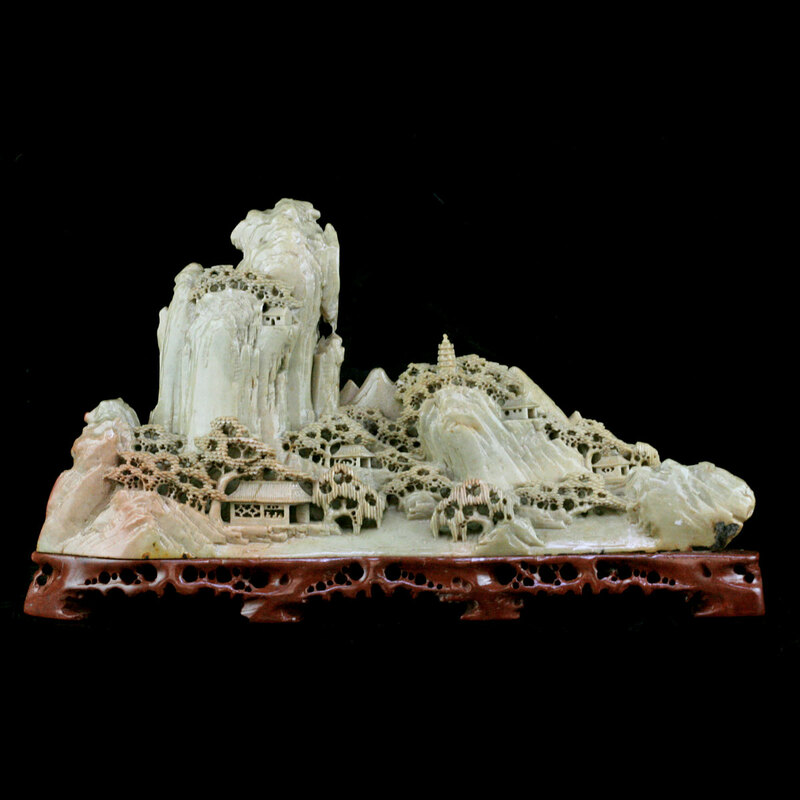 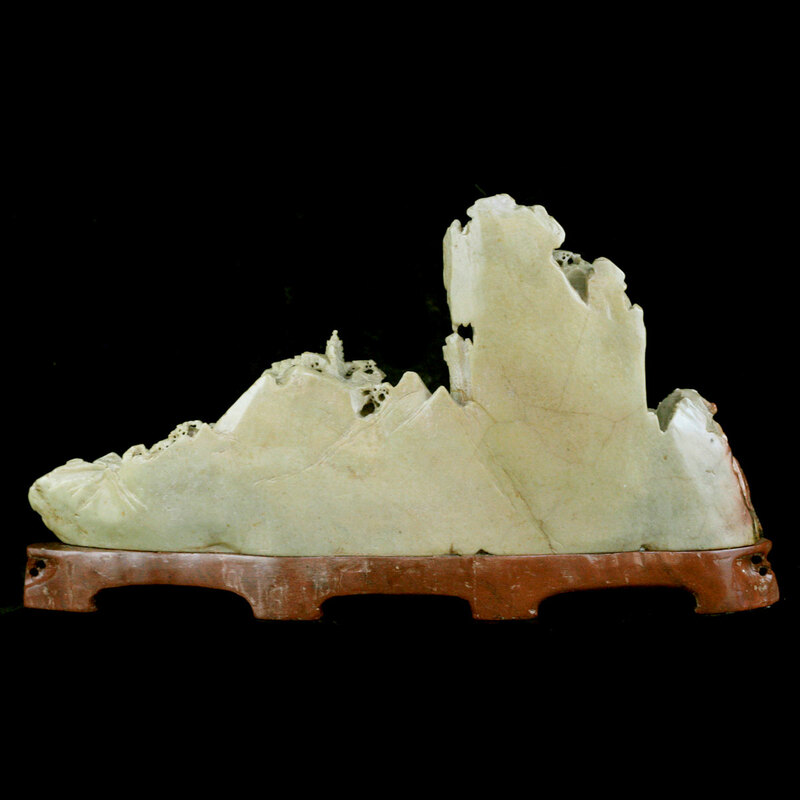 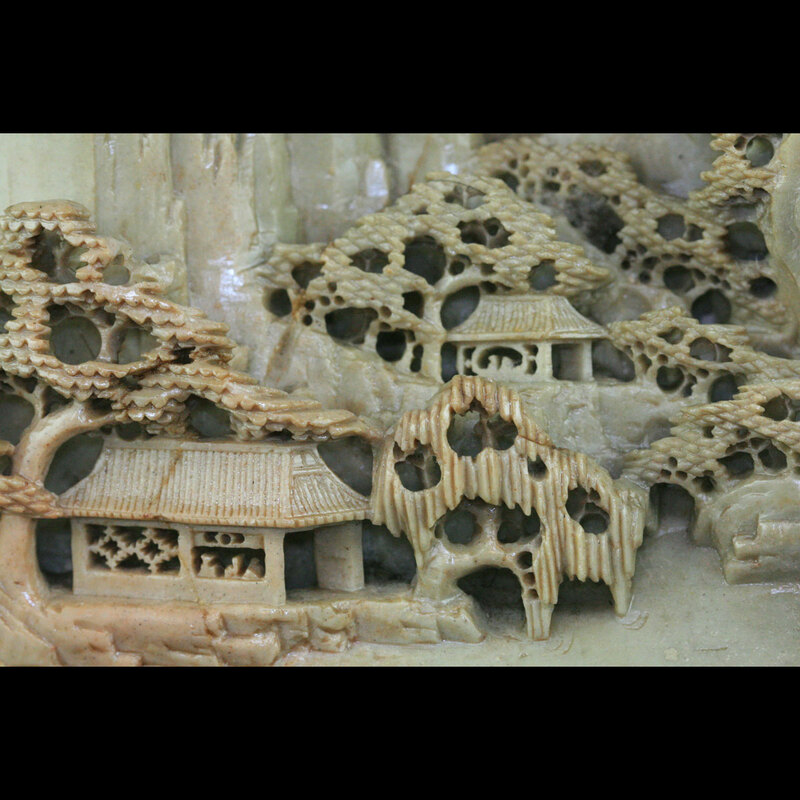 A Chinese soapstone carving depicting a village nestled on a rocky mountain. 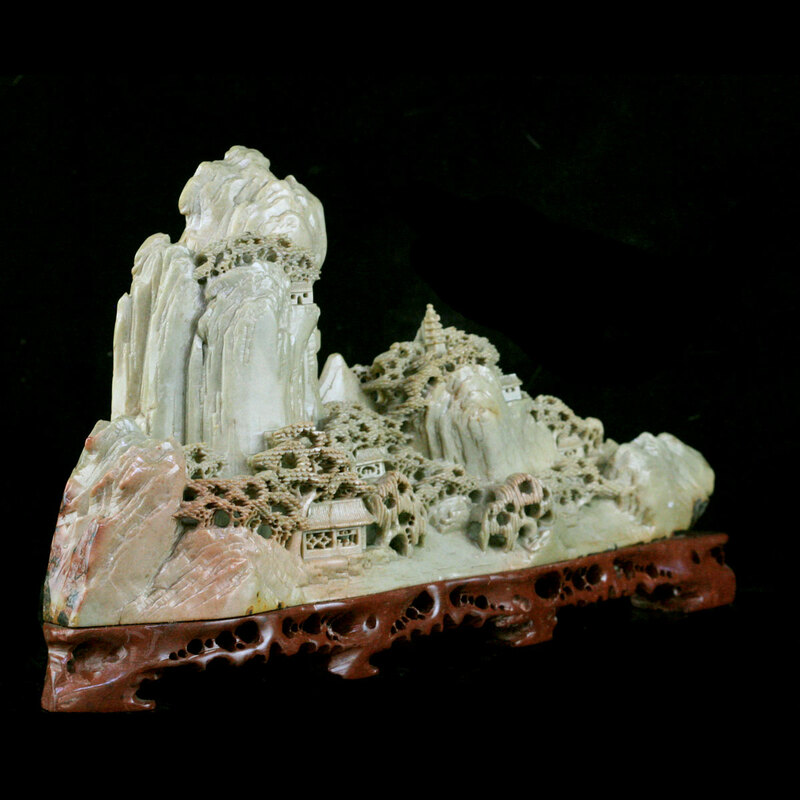 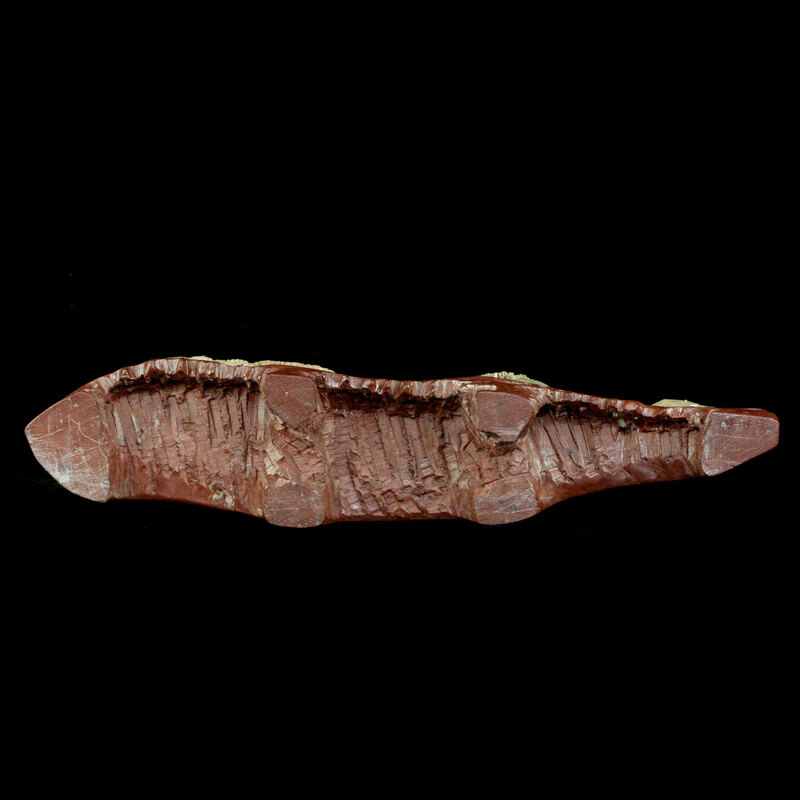 Affixed to a carved soapstone base.